The history of gangs stretches back in time almost as long as humankind has lived in towns, and if piracy can be considered gang related then also as long as we’ve used ships to trade across seas and oceans. Gangs are usually considered by the authorities to be undesirable, although many gangs see themselves as protectors of their community and performing a legitimate social service. In ancient history little is known of gangs prior to Roman times, though most historians agree if gangs were a law and order problem in Rome then they were probably known to other older states and empires. During Roman times suburban gangs of criminals caused regular disruption to life with riots and general mayhem, and it was these gangs who first invented protection rackets. Roman gangs are known to have used kidnapping for ransom, and often used smugglers and pirates to help them. Many ancient historians actually blame the fall of the Roman Empire on senatorial corruption under the influence of gangs who had become ever more powerful, and who made alliances with barbarians in their short-sighted goal of pillaging the city. During the medieval ages gangs were known to operate throughout Europe, although few were active outside of their local area. 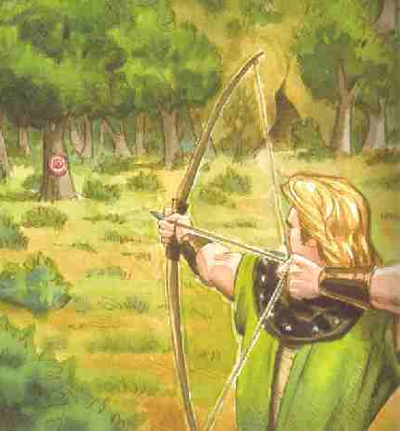 The story of Robin Hood while it is believed to be fiction is also a good example of how gangs of bandits operated in those times. Poor people who helped the gangs would be paid for their loyalty leading to the romance of gangs as heroes rather than villains. The Arab world on the other hand had no such belief in the goodness of gangs of thieves, with many stories of thieves meeting terrible fates at the hands of good people such as in “Alibaba and the forty thieves”. A notable exception were the Hashshashin (the Assassins) who were considered a gang by many but whose influence spread throughout the Middle East and who operated almost as a state within many states. In India from the 13th to the 19th century gangs of criminals known as thuggee would raid trading caravans and killing almost everyone as they stole the goods, money, and other valuables of the trader. The term thug is derived from these gangs and in England is synonymous with the word gangster. Yakuza. Chinese Triads originally began as political groups dedicated to the overthrow of what they considered a foreign Emperor, but soon became known for their threats and thievery, often involved in kidnappings and killings. The Triads after the introduction of communism migrated to Hong Kong, Taiwan, and the USA, particularly to San Francisco but are now found in almost all large cities with a Chinese population such as Seattle, New York, Vancouver, or Singapore. The Yakuza of Japan by contrast are not known for expanding outside of Japan to any great extent other than to Korea. 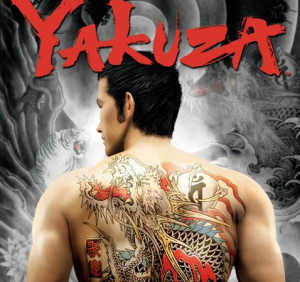 Within Japan the Yakuza gangs mostly spread their tentacles ever deeper into Japanese business culture an many Yakuza are heads of large corporations. 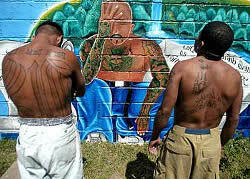 In the US gangs have been known of since the first cities developed with children’s street gangs the most common. Typically most street children have only ever been involved in petty crime but often make the transition to more serious offenses in later years. But it wasn’t until the westwards expansion across the continent that gangs really started to show their power in the US. Wild West Outlaws such as the Reno Gang, Billy the Kid, the Hole in the Wall Gang, Butch Cassidy and others have all added to the mystique of the old west gangs who were in reality no more than thieves and murderers, but rarely controlled a territory like modern gangs do. Since the 1920s and the likes of the Chicago Outfit or Gambino Family of New York , the history of gangs has changed considerably with gangs fighting for turf and complete control of all rackets within their territory. Coincidentally this is also the period that saw the biggest names in Mafia history such as Al Capone, Lucky Luciano, Don Carlo, or Anthony Spilotro. 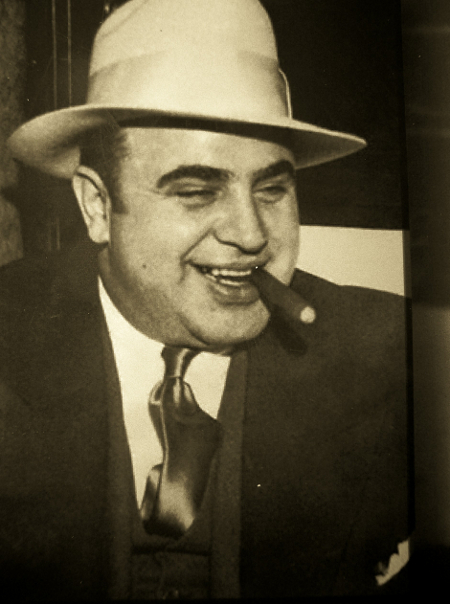 Mafia gangs in the US directly inspired the rise of African-American and Hispanic gangs who saw opportunities to advance their own wealth by initially working with Mafia gangs in the drug trade, and then later by replacing many Mafia families thru cutting deals directly with drug producers in South America and Asia. Gangs such as the bloods and crips from Los Angeles who have both since spread their criminal empires throughout the USA and even into the military. Very rarely do these ghetto gangs establish legitimate businesses for money laundering or community respect, leading to a two tiered gang system in many places where the Mafia and more established gangs offer banking services. The history of gangs isn’t yet complete, some very complex changes are happening within the gang world that could see the entire industry change over the next few years, perhaps becoming more like the Japanese Yakuza, or perhaps more like the Italian Mafia, certainly the current system of turf wars is very expensive and leads to a lot of conflict with the authorities.